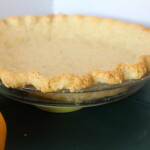 This week I shared my favorite pie crust recipe. But there is a method that will create flakier consistency with any recipe, including your favorite (whether or not your favorite is my favorite). It is the way you mix the fat and dry ingredients . 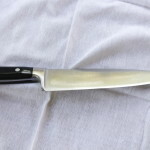 Traditionally, you cut the butter or shortening into the flour with a pastry blender, two knives, a food processor or your fingers. There is nothing wrong with those methods. I often use my fingers when I am feeling lazy. 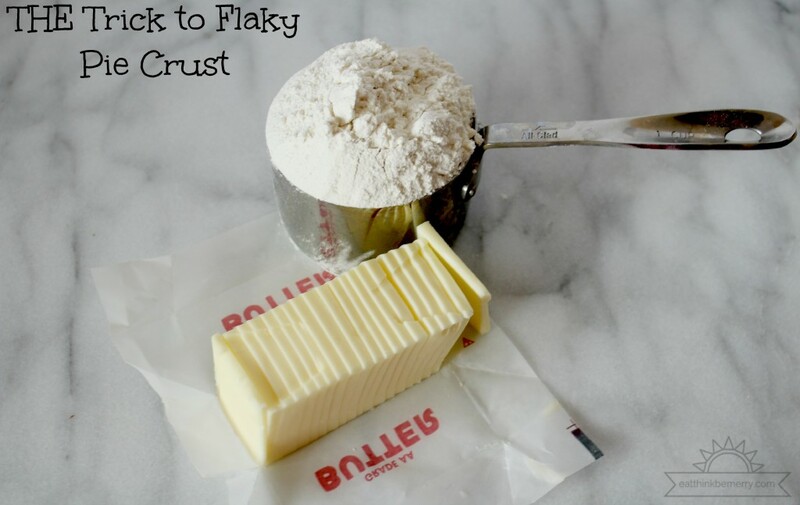 But when I really want a good flaky crust I use the following method. To create flakiness we need to create layers of fat and flour. 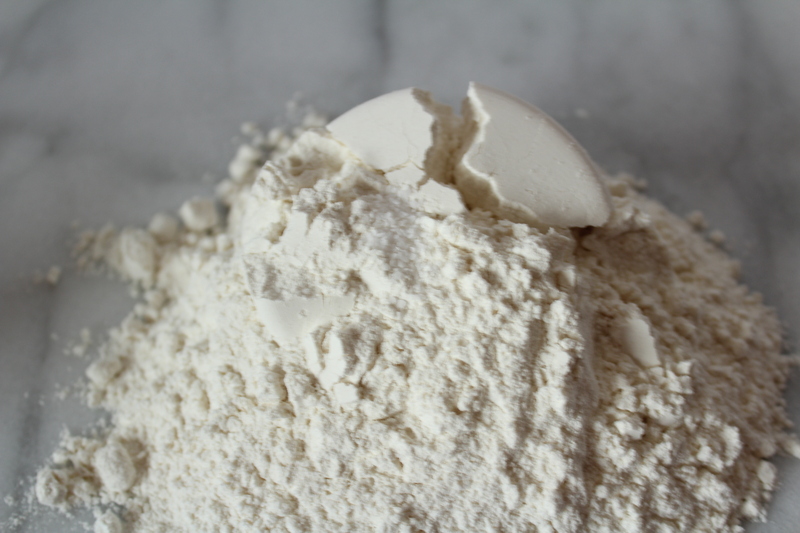 The fat layers creates a barrier between the flour layers. 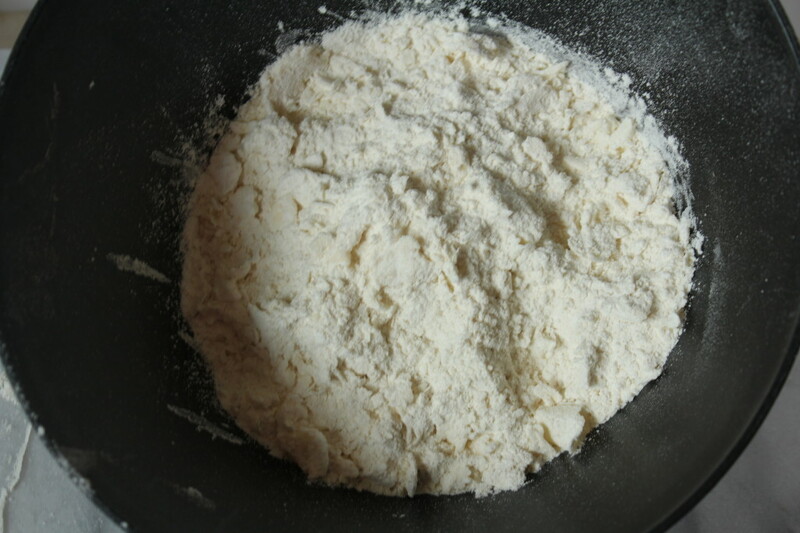 Which keeps the flour from becoming one solid tough crust. The more layers you create the more flaky the crust. Cutting in the butter the traditional way does create layers, but the butter tends to form little balls or crumbles rather than thin layers. 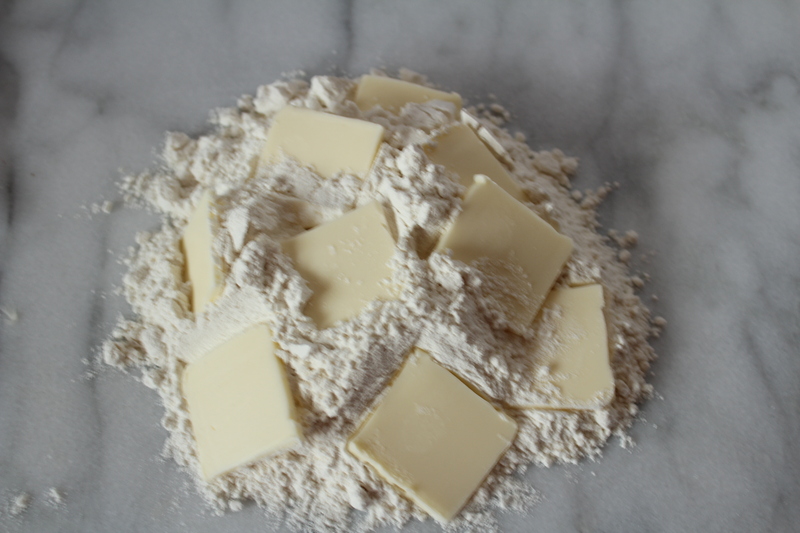 The following method creates thin layers of butter and flour, which helps makes a flaky crust. 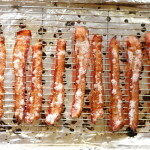 The method can be used with any recipe, but here is my favorite. DO NOT look at the amounts of the ingredients in the photos. This is not a recipe, but a demonstration of the method. First cut your chilled or frozen butter into small slices. 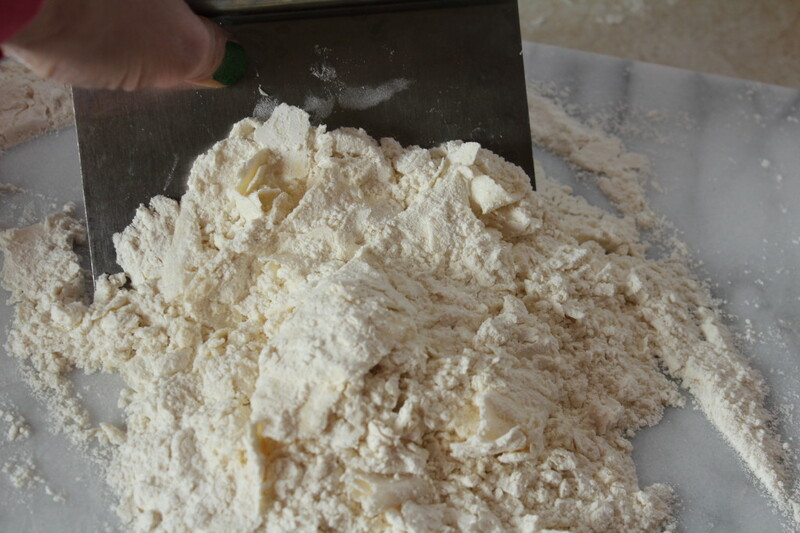 Dump your flour onto a clean counter top. Add the salt and stir to combine. 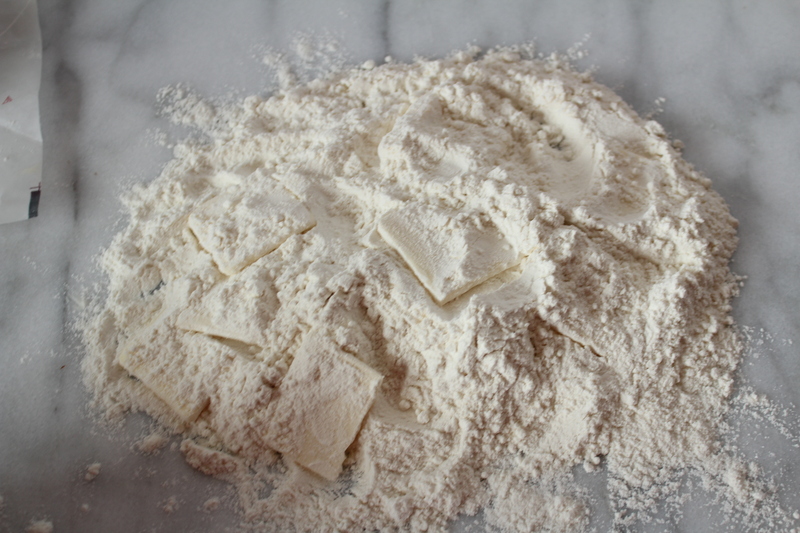 Place pieces of butter on and in your pile of flour/salt. Toss butter in flour until butter is coated. This will help to keep the butter from sticking to everything. 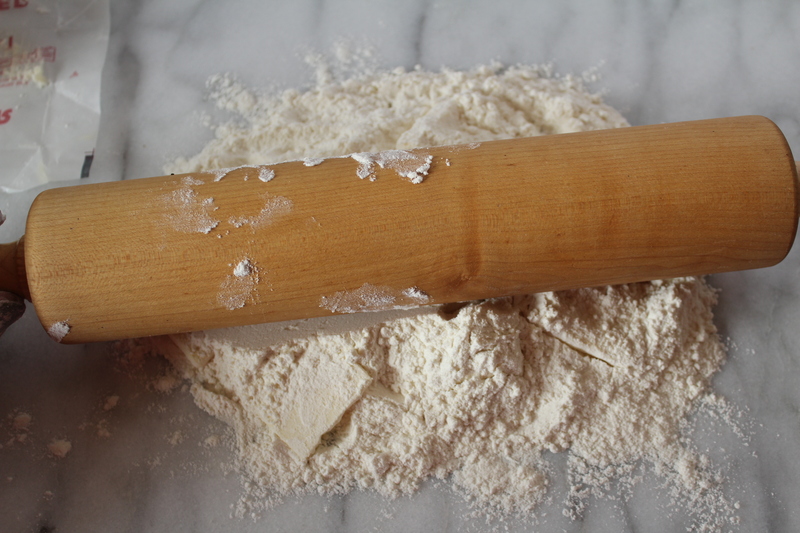 Use a rolling pin to flatten your pile of butter and flour. Scrape back into a pile and roll it out again. See the butter getting thinner and thinner? 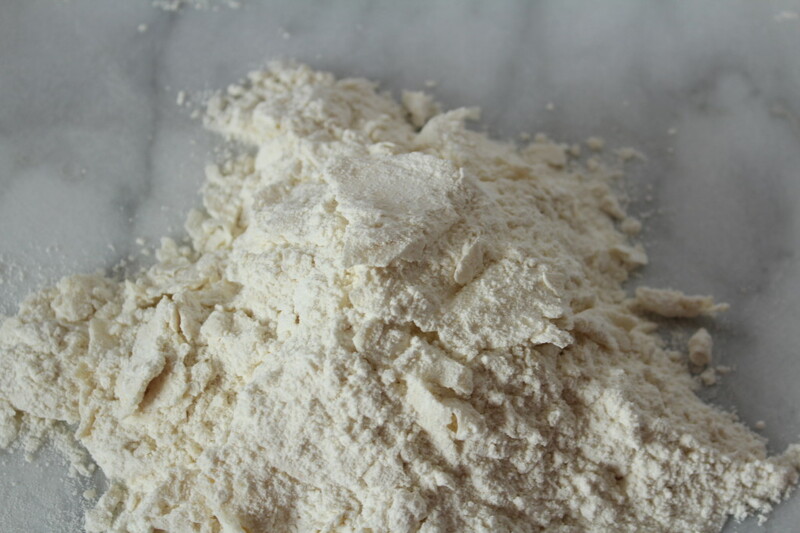 Continue this process until the fat is in very thin layers throughout the flour. It should look like flaking paint. Scrape it together one final time and transfer to a bowl. From this point, you will continue with your recipe as normal. 1. Use very cold fat and water. This will keep the fat from melting as you mix it and roll it out. 2. Mix it as little as possible. 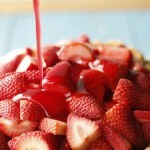 The more you mix it, the more gluten will develop and gluten is the enemy in pie crust. 3. Butter tastes good, but melts at a very low temperature. Shortening doesn’t taste great, but gives a better texture because it melts at a higher temperature. 5. Freezing your crust before placing in the oven will make the fat melt more slowly and keep the shape better. 6. 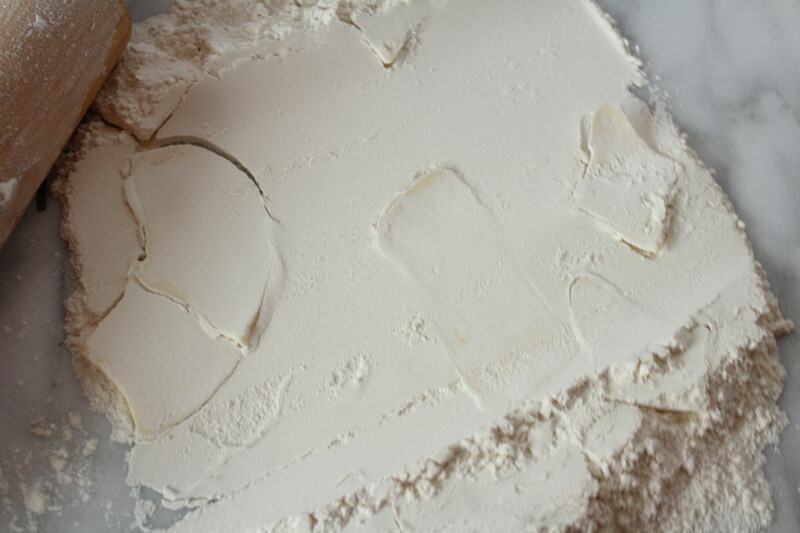 You can always put the dough in the freezer at any stage of mixing if the fat becomes soft. 7. 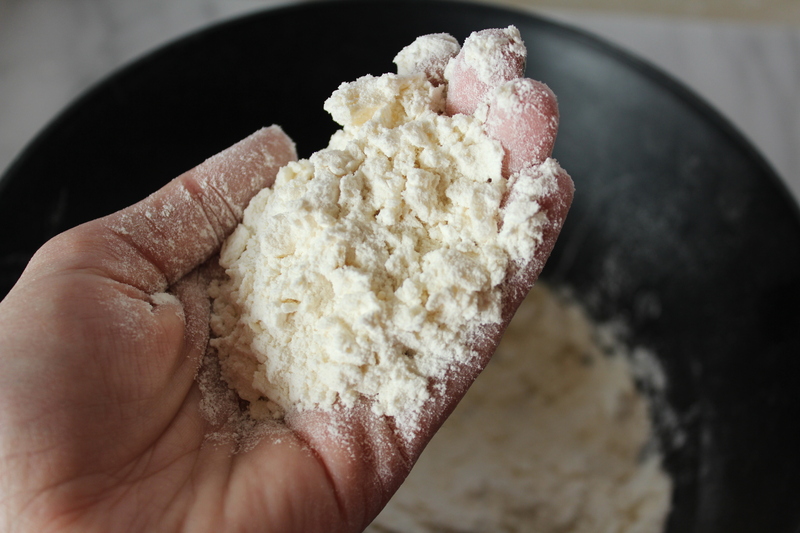 Try to use the least amount of flour you can get away with when rolling out the dough. 8. To transfer the dough from the counter to the pie plate. Gently fold the flattened dough in half, then gently fold in half again, so it looks like 1/4 piece of pie. Pick it up and transfer it to the pie plate, then un-fold. 9. When shaping the crust. Give yourself more overhang than you think you need. The crust will usually shrink at least a little. Good luck with your pie crust making. 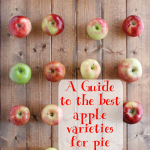 What tips do you use when making pie crust? Blasphemy! Just kidding, I totally do that sometimes. I bet yours tastes way better! And I’m going to try it sometime! Now I want to try your biscuits and gravy, yum!